"Öltemperaturanzeige, Serie: Sport-Comp 2-5/8″ mechanisch"
Oil Temp 2 5/8 Mech. 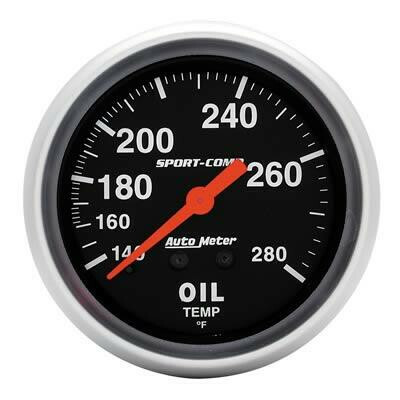 Accurate and affordable gauges for your ride. These Sport-Comp analog gauges are the trademarks of the entire Auto Meter line. With rugged race styling and unmatched performance, they have been in more winning vehicles than any other gauge on the market today.